Our number have increased by one last night but we are excepting several more in the coming days due to the weather we have been experiencing. Our eight from last week are doing great! 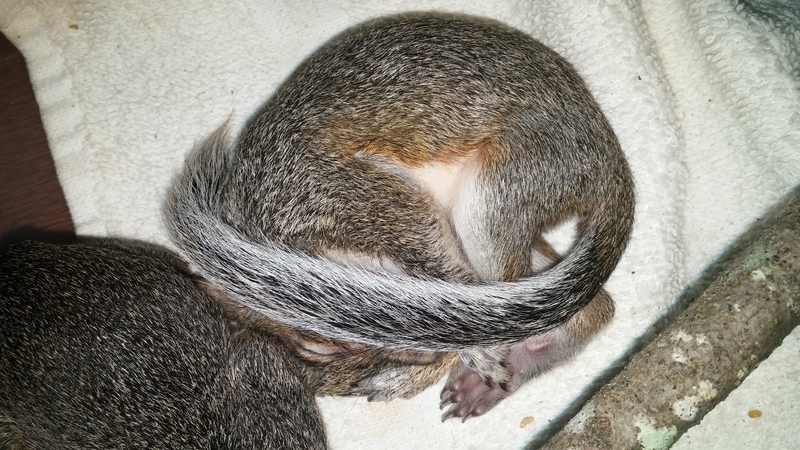 The two older litters have opened their eyes and are becoming increasingly active and playful. Just like human babies though they still nap after each meal. The youngest dray is doing well too. 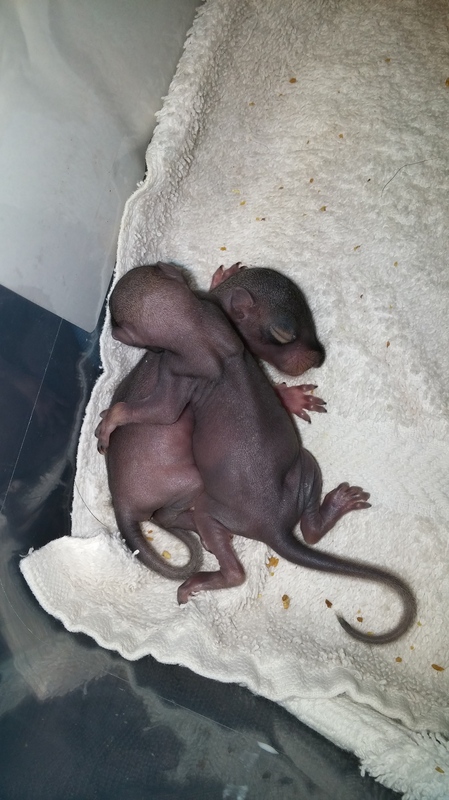 They are now starting to grow in their hair and their appetite and weight are constantly increasing. We are also really to start and see their individual personalities and preferences starting to form. The little boy loves to eat and would probably eat his own weight in formula if we let him, his sister on the other hand only eats until she is no longer hungry and then she is no longer interested (which is okay because she is eating more then her minimum and gaining weight)! 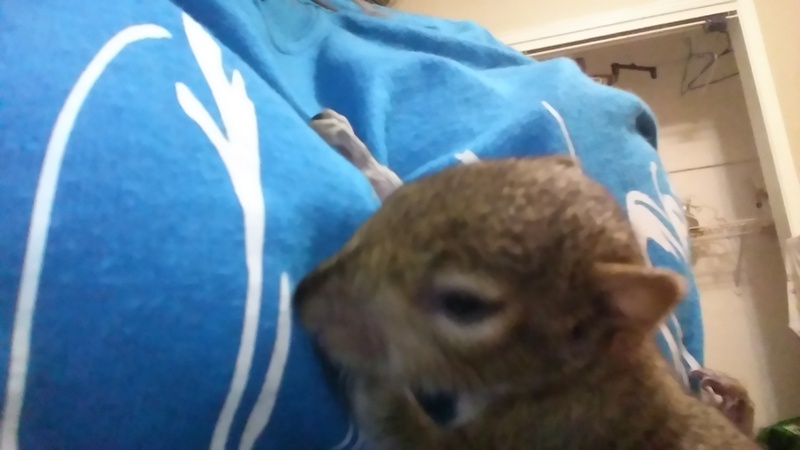 At this point we are feeding our squirrels just over 3 pints of specialized formula a week and that will continue to increase as they grow. 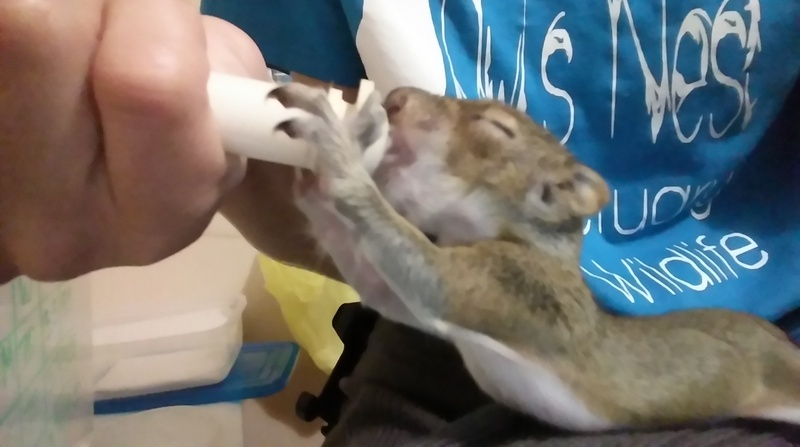 We are also continuing to provide care for a wide variety of other mammals, birds and a few reptiles too!